It's New Year's Eve! If you still don't have plans, check out our guide to tonight's parties, concerts, and dinners. 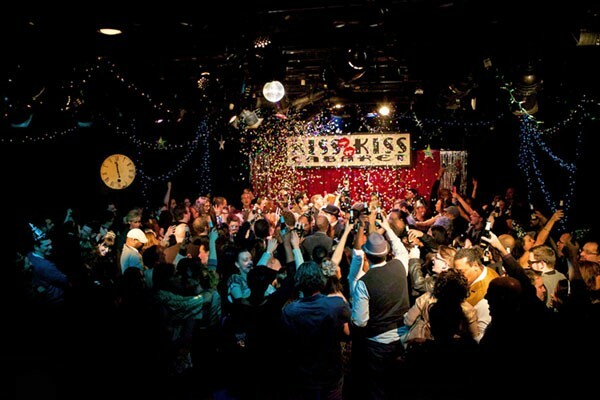 If the hullabaloo of New Year's Eve isn't your bag of confetti, you can head to the calmer confines of Evanston for First Night Evanston, a family-friendly event starting in the afternoon that includes a magic show, a poetry slam, a parade, interfaith meditation, and a performance by bluegrass master James King. There are plenty of concerts tonight, but Detroit protopunk trio Death's show at Reggie's stands out. Peter Margasak says the band's 2009 Drag City collection . . . For the Whole World to See "reveals Death's music as a precursor to punk, with more high-speed energy than fellow Detroit pioneers the MC5 and the Stooges."